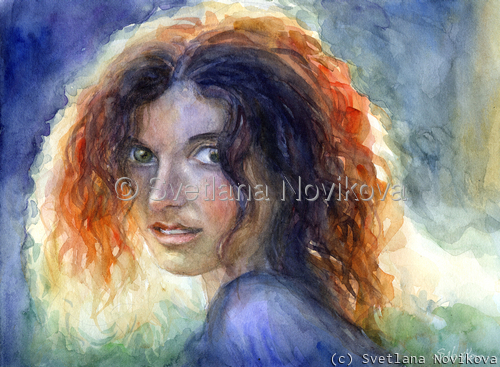 Colorful watercolor portrait of a woman, original is sold. I am available for commissioned work from photos, please contact me for more information. 9" x 12.25"11" x 15"13" x 17.75"17" x 23.125"